Insights - China is in! Sort of. Why you can't wait or think only active vs. passive? China is in! Sort of. Why you can't wait or think only active vs. passive? 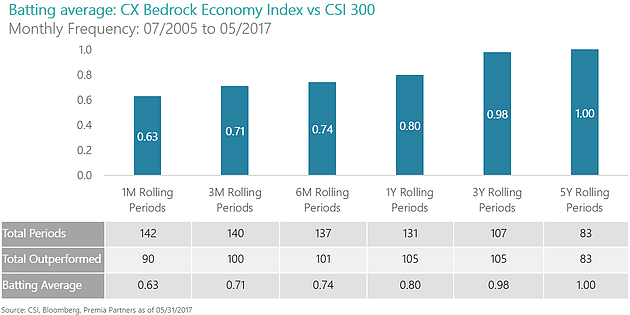 A quick review of what MSCI did and didn't do, its impact, why it matters and how investors should approach China going forward. 0.73% of EM equals 0.1% of all country portfolios. 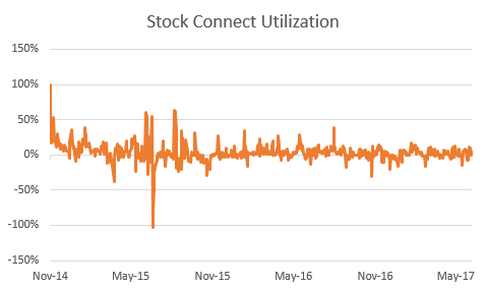 Most investors can actually ignore this as it is too small to impact tracking and performance materially. 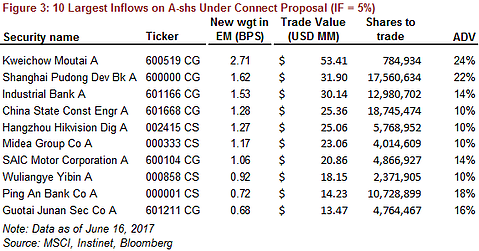 China is already ~28% of EM so the addition is minor at best for now. Roughly $16B of A-share purchases will occur as a result of this decision. That is less than 50% of 1 day's trading in China! There’s very little new economy here – the included stocks are ~48% Financials, 12% Industrials and 8% Energy. Not exactly the part of China many of us would like exposures to today. China will over the long-term displace not only its AxJ neighbors, but also developed market countries as the size of EM within global portfolios grows with continued China's inclusion over the next 5-10 years. Eventually, in the very long-term, global institutions will exert enough influence for changes in Chinese markets to occur. Until then, the 90% of trading by retail investors will continue to drive markets, and that means there's opportunity! Long-term, this decision by MSCI will force investors to start looking at China, will drive the movement of research and portfolio staff to Asia and will be the defining market event of the next 5-10 years. (Unless we have a major recession again, but those thoughts are for another day). Is MSCI behind the curve? I wouldn't be asking if I didn't think so - China's fundamental improvement efforts and portfolio allocation benefits are clear. CNY has settled around 6.9 and has even strengthened a bit. China's FX reserves actually increased every month so far in 2017. Manufacturing PMI has sat over 50 since 1Q16, with the exception of a 49.9 reading in July last year. Little known fact – CSRC is rejecting more IPOs to improve market quality, leading to a lack of supply in a market that is already relatively cheap. Onshore correlations remain very low vs global markets, improving portfolio diversification (at a time of high DM valuations no less!). There are many bears no doubt, but as the world increases its allocation to Chinese equities and valuations mean revert one way or another, I’d rather make my move into China ahead everyone rather than behind them. OK - I'm convinced. Time to find a good active manager for China, right? Much of the above is likely not new to you. And in fact, I’ve already written too much and am not sure who is still reading. So to wrap things up quickly, I'll spend a few sentences previewing next week's write-up. Most people tell me that active is the way to go in China because there’s lots of fraud, lots of alpha and active managers still outperform. So beta for developed markets and active for emerging markets, particularly China. Right? 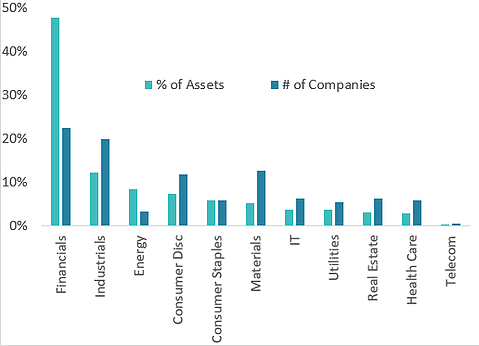 Retail investors drive a majority of transactions in China and govt-related entities hold a large portion of market cap. These uninformed and non-economically motivated investors make the same mistakes as global investors, but there are more of them and therefore the opportunity for gains by informed investors is greater. A plain passive approach does not work – too many financial stocks in common benchmarks, no ability to isolate quality companies and avoid bad ones. An active approach is possible, but doesn't necessarily do better than a factor-driven fundamental beta strategy. Below are a few quick charts that show the results of this smarter approach. Hopefully these numbers speak for themselves. We'll go into detail about methodology, rationale and what they actually mean in coming weeks. If you have any questions in the meantime, click contact us at the top. If you didn't get an update about this piece being posted, join our mailing list on the right.